Q. You win the first set and things are pretty good. He just takes over? SAM QUERREY: Yeah, it's tough. He plays good defense and some great passing shots. Never really truly got comfortable out there, I felt like. You know, in the third set he hit a running forehand passing shot on the line to break me. In the first game of the fourth set he hit a little backhand passing shot on the line again. He hit some good shots to break me in those games. Q. It was quite warm out there today. Just wondered if you had any thoughts on the whole issue of the heat rule which applies to women players but doesn't apply to the men? SAM QUERREY: It's hot out here today. Usually you don't see guys fatigue as easily at Wimbledon on the grass. The points are much shorter. So the heat I don't really think is that big of an issue here as it is at maybe the French Open or US Open or Australian Open. Q. Should there be a heat rule there for the guys? 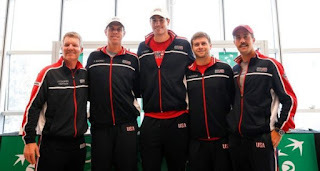 SAM QUERREY: Yeah. I mean, what is the rule (smiling)? 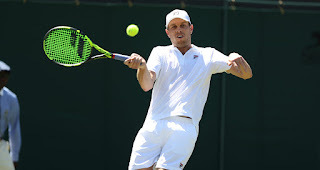 Sam Querrey's honeymoon plans might be staying on hold for a while if the American continues to play as he did in his Wimbledon opener against Jordan Thompson on Monday. The 11th seed married fiancee Abigail Dixon on June 9 but the big-serving 30-year-old has been hard at work preparing for the year's third Grand Slam ever since. 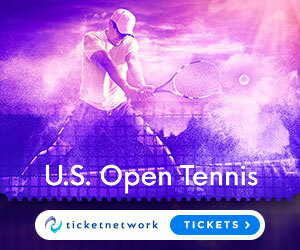 Last year's beaten semi-finalist looked smoothly impressive in a 6-2 6-4 6-3 first-round win to set up a meeting with wildcard Sergiy Stakhovsky of Ukraine. Watch as Sam Querrey describes why he's proud of his performance against Stan Wawrinka on Wednesday and why he enjoys competing at the Fever-Tree Championships. Sam Querrey visits with the volunteers and ball kids at the Miami Open presented by Itau, and discusses how they are so helpful to the players. Milos Raonic booked a semi-final clash with comeback king Juan Martin Del Potro at the ATP Tour's Indian Wells Masters on Friday. Raonic defeated American Sam Querrey 7-5, 2-6, 6-3 to pick up just his fourth match win of the season and is seeking to capture his ninth career ATP Tour title. He'll be up against Del Potro, who beat Philipp Kohlschreiber 3-6, 6-3, 6-4 in the day's other quarter-final. "I am very happy I was able to put it together today," Raonic said. "I'm in the semis. I am happy with that. 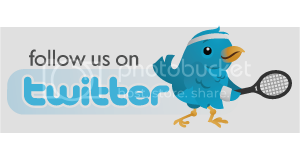 I know I can play better." 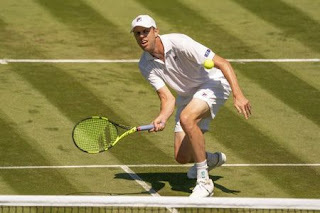 Sam Querrey reaches the fourth round at the BNP Paribas Open in Indian Wells. An interview with Sam Querrey following practice at the 2018 BNP Paribas Open in Indian Wells. Defending champion Sam Querrey looks back at his 2017 Acapulco title against Rafael Nadal. 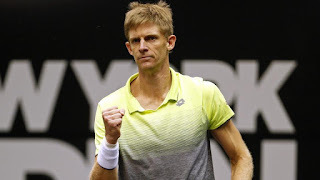 Watch highlights as Kevin Anderson edges Sam Querrey in a third set tie-break to win his fourth ATP World Tour title in New York. Kevin Anderson beat Sam Querrey 4-6, 6-3, 7-6(1) to win the inaugural New York Open. Anderson will move to a career-best No. 9 in the ATP Rankings on Monday. 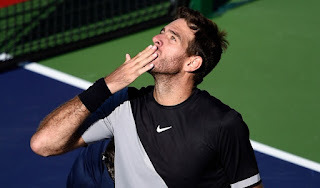 The inaugural final in New York was the first ATP World Tour championship match to go to a deciding tie-break since The Queen’s Club Championships last year (Lopez d. Cilic). Anderson earns 250 ATP Rankings points and $119,250. Querrey takes home 150 points and $62,805 for his runner-up finish. 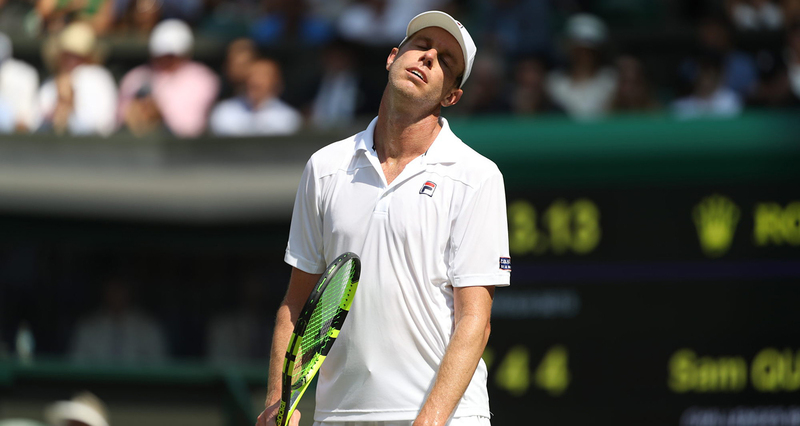 Sam Querrey recalls the freak accident he suffered in Bangkok, which came within a couple of millimeters of potentially ending his tennis career.